Order any burger and get a free drink every Monday! Book online for free text confirmation or call 0116 426 0028. Tuesday - Fish and Chips Night! Every Tuesday get beer battered fish served with chips, mushy peas and tartare sauce for just £8.50! Book online for free text confirmation or call 0116 426 0028. Head on down to The Marquis on Wednesdays to get a pie and a pint for £10.95, this offer is available all day. Book online for free text confirmation or call 0116 426 0028. Happy Hour @ The Marquis Wellington! Monday to Friday you'll find Happy Hour 5 - 7pm at The Marquis! With great deals such as Tiger for £3, Carling for £3.20 and Beacon for £2.50. Also there are house wines available for just £10 a bottle. Book online for free text confirmation or call 0116 426 0028. Join The Marquis Wellington on their £1 entry quiz night. Running every Monday (term time only). All money raised goes to charity and winning team gets a gallon of selected beer/ale. Book online for free text confirmation or call 0116 426 0028. 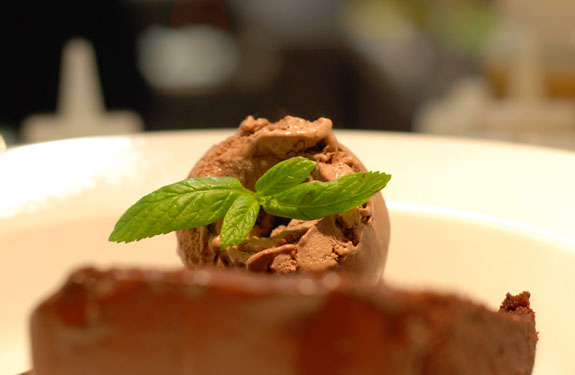 Why not treat your little ones to a delicious meal at The Marquis Wellington. The restaurant provides a special menu for children. Book online for free text confirmation or call 0116 426 0028. The food was great and it was a good job we could reserve the table as it was busy. Only let down was even though we got there as early as we could Food took 50 mins to come which was worrying as we were going to a concert. Maybe extra staff could be put on or offer pre orders when a concert is on (as the pub do promote concert deals)? Will be returning again though. Friendly staff in a corporate dress (apart from one scruffy bloke who appeared to be checking out the drinks stock) and good food well cooked. A comprehensive selection of beers. Bustling main Street pub which is clean and decorated well. Visited for pre Dear Montfort Hall early dinner. Would visit again. Recommended. Easy to book a meal for 2. Great atmosphere in the pub. Dogs allowed! Great selection of drinks and food menu had lots of choices. A quiet corner for our meal which arrived in good time. Very tasty indeed. The only niggle was that onion rings were too greasy. Other than that a fine meal good value for money. Recommended! Staff were lovely, polite, efficient and the food great. We would recommend to anyone and visit again. What a lovely place. We went on Mothers day when visiting my son at university and booked purely for the dog friendly aspect. The welcome was warm and friendly, our dog was treated like one of the family, the food was one of the best Sunday/Occasion meals we've had out for sometime, fresh home cooked produce, large portions and presented beautifully. Very much looking forward to returning! Food was nice, unfortunately became cold very quickly, we did mention this as did other diners to management. Dessert took a long time to arrive. Overall a bit disappointed, it won't stop us going to the pub but I would think twice about eating there again. Nice food and good service. A bit draft near the front door but plenty of other options. Wait and bar staff all polite and the right side of solicitous. Great bar, great staff, great location. We had a lovely meal with friends - highly recommend the burgers! 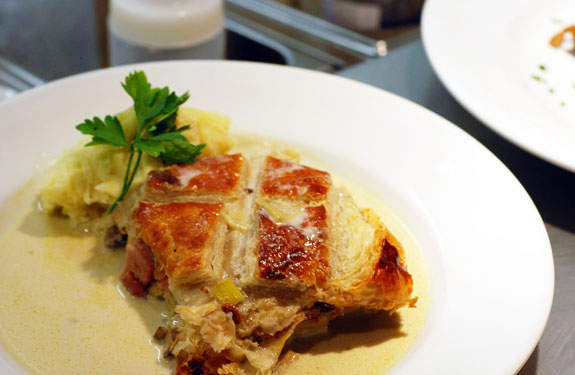 With a menu packed full of hearty food and boasting a central location in Leicester, The Marquis Wellington is the perfect place to relax with friends and family. Located on London Road, less than a ten minute walk from the train station, The Marquis is the perfect spot for visitors to the city who are looking for comfortable, relaxed surroundings and gastropub-style British food without the hefty price tag. Set in a gorgeous historic building with a cosy interior featuring red leather seating, wooden furnishings, soft lighting and plenty of greenery, The Marquis is the ideal setting for a relaxed lunch. In addition to the pleasant and airy interior of the building, the beer garden has recently been transformed into the perfect spot for summery al fresco dining. 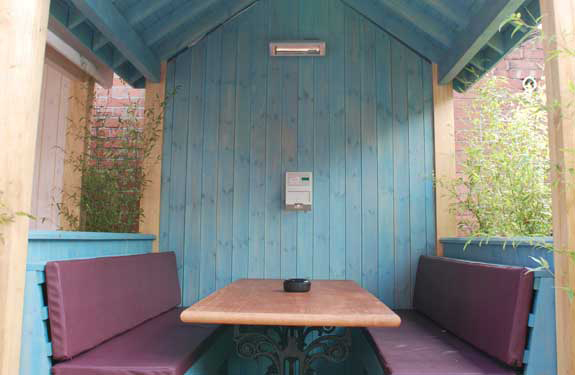 With four individually heated beach huts sporting comfortable cushions, available to book at any time, you can enjoy the outdoor area well into the night at any time of the year: it's the perfect place to catch up with friends, cocktails at hand. With bamboo to brighten the area, plenty of lighting and accents of colour even outdoors, it's the ideal location for enjoying warm summer evenings. The menu at The Marquis has something for everyone: whether you're after a light lunch, hearty evening meal or looking for great vegetarian options, it's covered. With a great range of tasty burgers including chicken, chorizo, spiced peppers and cheese; barbecue pulled pork and even beer-battered halloumi with garlic mayo and sun-dried tomatoes, there'll be something that takes your fancy. Enjoy light plates such as a cajun chicken salad or breaded whitebait, or tuck into something more substantial like the giant Yorkshire puddings, complete with sausages or stew, seasonal vegetables, soft herb mashed potatoes and plenty of gravy. Seeing as the venue is well suited to groups of friends and family members, there are plenty of sharing plates available, including chilli beef nachos and an impressive seafood platter featuring battered fish goujons, smoked mackerel and chive creme fraîche, crispy whitebait, breaded scampi, tartare sauce and bread. 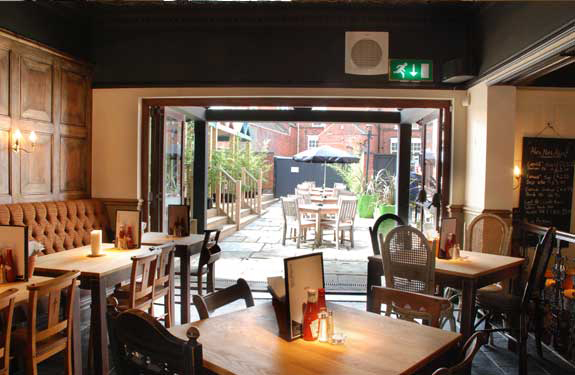 With a great selection of cask ales, continental lagers and local beers, plus Happy Hour available Monday to Friday, the drinks selection will perfectly compliment the tasty food on offer and the relaxed setting that the venue exudes. 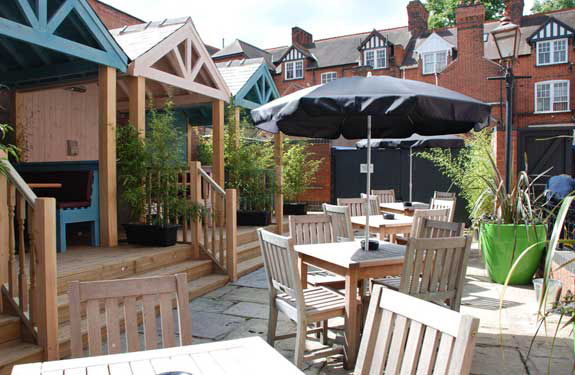 The Marquis is a pub with everyone in mind: whether you want Sunday lunch with the family, evening drinks outdoors with friends or a light bite whilst visiting Leicester, you're sure to find what you're looking for. All served with garlic and rosemary roast potatoes, creamy mash, Yorkshire pudding, braised red cabbage, fresh vegetables and gravy. All our burgers are served in a toasted Brioche Bun with baby gem, beef tomato and gherkins, with rustic chips and homemade coleslaw. Order any burger and get a free drink every Monday! Every Tuesday get beer battered fish served with chips, mushy peas and tartare sauce for just £8.50! Head on down to The Marquis on Wednesdays to get a pie and a pint for £10.95, this offer is available all day. Monday to Friday you'll find Happy Hour 5 - 7pm at The Marquis! With great deals such as Tiger for £3, Carling for £3.20 and Beacon for £2.50. Also there are house wines available for just £10 a bottle. Join The Marquis Wellington on their £1 entry quiz night. Running every Monday (term time only). All money raised goes to charity and winning team gets a gallon of selected beer/ale. 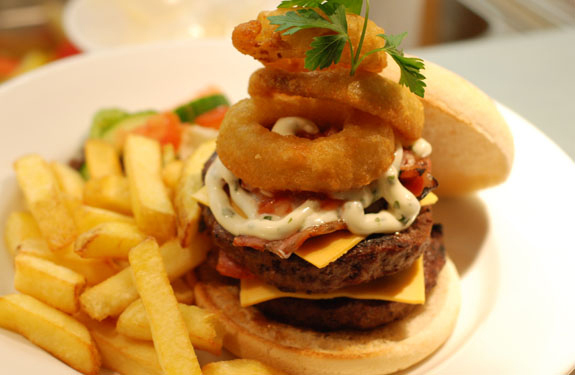 Why not treat your little ones to a delicious meal at The Marquis Wellington. The restaurant provides a special menu for children.